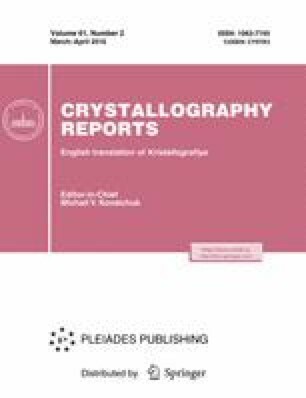 The hypotheses about the nature of color centers in langasite family crystals that are discussed in the literature are analyzed. Optical transmission spectra in the wavelength range of 200–800 nm are recorded for langasite and langatate crystals grown in atmospheres of argon and argon mixed with oxygen in different concentrations, both in the initial state and after isothermal annealings at 1000°C in nitrogen, in air, or in vacuum. Dichroism is observed in langasite and langatate crystals, and spectral dependences of the degrees of dichroism are plotted. Original Russian Text © N.S. Kozlova, O.A. Busanov, E.V. Zabelina, A.P. Kozlova, M.B. Bykova, 2016, published in Kristallografiya, 2016, Vol. 61, No. 2, pp. 275–284. An erratum to this article can be found at http://dx.doi.org/10.1134/S1063774516040301.